Design is becoming a subject of vital importance across businesses that are looking towards the future. Design is the omnipresent differentiator in all walks of life, materialising in various ways. 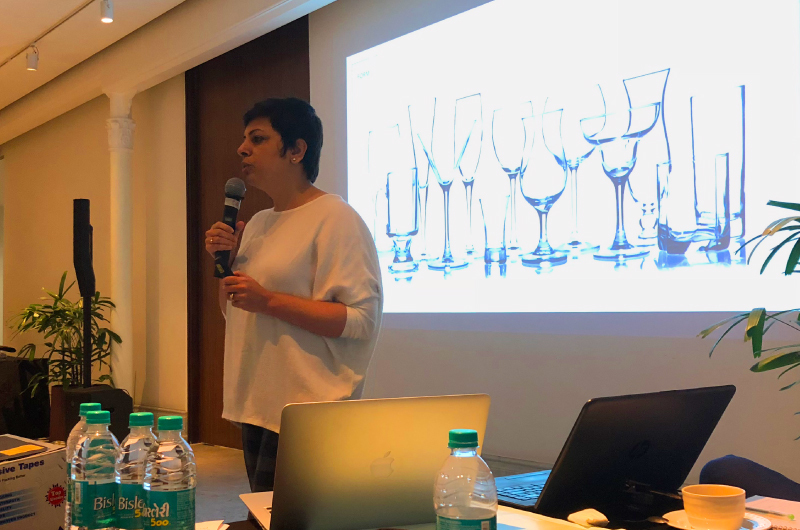 Appreciating the significance of design and its impact on business, a Fortune 500 Indian MNC with annual revenues of over 13 billion USD (2018) decided to take their leadership teams through a design sensitisation programme. The Elephant leadership was approached by this MNC’s visionary Chairperson to action this initiative, keeping in mind the vast credibility & pioneering experience we would bring to the table. As an enterprise operating in 22 key industries, with a presence in over 100 countries, the MNC employs more than 240,000 people worldwide. To integrate the culture of design in every level of the group, this initiative was organised for leadership teams of all key companies within the group. Along with building design sensitisation & awareness, we wanted to emphasise on the joy that design adds to a product, service or experience. With this in mind, the initiative was named Delight by Design. A total of 26 teams participated in the workshops, each from a different domain of the conglomerate. By the end of the workshop, each team would be equipped with processes necessary to arrive at innovative product and service ideas where design would be the primary tool to solve problems. The initiative was spread over multiple workshops with similar domains grouped together. Through each workshop, we addressed a group of six teams on an average. We tailored and customised each workshop, making it relatable to the sectors the participants belonged to. Case studies and examples were chosen from familiar brands and companies, creating better association and greater understanding of the concepts explained. Participants were introduced to the world of design with explanations of the concept of design, and the difference between good and bad design. We discussed elements of design, along with the importance of form, function and emotion. A detailed look at experiences influenced by brand values helped strengthen the notion of design’s omnipresence. A module on Aesthetics in Design was added to clarify the general notion of beauty and its variables, and the cultural context in which it is set. An interactive session with each team helped us understand their businesses challenges along with insights on current industry scenarios and trends. The workshop included an introduction to design tools and processes, and their application in a real-life scenario to arrive at new ways of solving problems. These were presented in a manner that would expand their scope to future projects as well. The design process was explained with the help of relevant case studies. At the end of the workshop, the participants were left with a better understanding of design as a tool for positive value addition. The MNC used this as a foundation to generate new and differentiated business ideas, while adding business value to its brand.